What are Prebiotics or Probiotics? According to the World Health Organization (WHO) and the CDC, probiotics are “live microorganisms which, when administered in adequate amounts, confer a health benefit on the host.” Probiotics are in foods such as yogurt and sauerkraut or they are in food supplements. Prebiotics, on the other hand, are different from probiotics inasmuch as they are not live microorganisms but they are non-digestible food ingredients. Prebiotics benefit the host by selectively stimulating the growth and/or activity of one or a limited number of bacteria in the colon, and thus improve host health. Prebiotics are in foods such as whole grains, bananas, greens, onions, garlic, soybeans, and artichokes. Probiotics and prebiotics are also added to some foods and are available as dietary supplements. How Beneficial can be Prebiotics and Probiotics? Probiotics are said to restore the balance of bacteria in the gut when it has become disrupted through long-term antibiotic use or gastrointestinal disease, for example. However, there is little solid evidence to support this claim. Are prebiotics and probiotics safe during pregnancy? According to one publication, "Administration of enteral prebiotics, probiotics, and synbiotics during pregnancy, lactation, and postnatal life appears to be a safe and feasible method to alter the maternal and neonatal microbiome, thus improving pregnancy and neonatal outcomes." Many women experience a form of gastrointestinal discomfort at some point during their pregnancy such as nausea, vomiting, constipation or diarrhea. While these discomforts can be caused by a variety of factors, for the women who experience them frequently or who suffer from irritable bowel syndrome, there may be a nutritional solution worth trying. Probiotics are foods or dietary supplements containing bacteria similar to that naturally found in people’s guts. About 100 trillion microorganisms representing more than 500 different species inhabit every normal, healthy bowel. Most of these bacteria are helpful- keeping pathogens in check, helping to aid in digestion, assisting with nutrient absorption, and contributing to immune function. Probiotics can supplement the gut's natural bacteria, helping to balance intestinal flora. Additionally, they may help improve vaginal health as Lactobacillus rhamnosus GR-1 and Lactobacillus reuteri RC-14 may help restore a normal balance of bacteria, helping treat women with bacterial vaginosis. The most common “good” bacteria are lactobacillus or bifidobacterium which each contain a different species and within each species, a different strain (or variety). Probiotics are available in foods like yogurt, fermented and unfermented milk, miso, tempeh, and some juices and soy beverages. Prebiotics are nondigestible food ingredients that nourish probiotic bacteria. They help the probiotics grow and flourish so that they can do their job. Prebiotics come mostly from carbohydrate fibers called oligosaccharides which are found in foods like fruits, legumes, and whole grains. 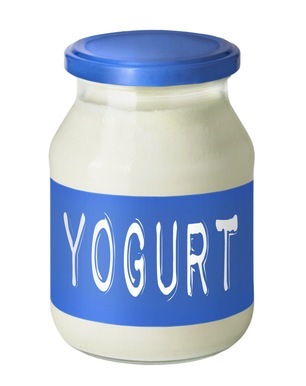 Yogurt made with bifidobacteria also contains oligosaccharides (so you get both the pro and prebiotics). It’s best to consume both types of bacteria in your daily diet to receive the most benefits- so having yogurt with banana or tempeh with nuts or beans can help you achieve this in one meal. Consumption of probiotics in supplement form may also be recommended for people with irritable bowel syndrome or other chronic conditions. Supplements should be taken with foods including milk, yogurt, and other dairy products which buffer stomach acid and can increase the chance that the bacteria will survive into the intestine. The lactic acid content of yogurt can be a barrier to culture stability, but refrigeration can help decrease this barrier by keeping the probiotic cultures stable. Be sure that dairy foods are kept cold before consuming them so that the good bacteria stay intact. Increasing your consumption of foods with pro and prebiotics is a good idea to promote both intestinal and overall health. Studies have shown that probiotic strains- especially the most well- researched strain “bifida” bacteria consumed as part of a daily diet may increase the number of illness-free days. And even if probiotics don’t relieve your bellyaches, there are many other ways that your health will benefit from foods packed with these healthy bacteria as they contain lots of great nutrients that your body needs!